Lifting the curtain on alternate number systems, double entendres, and other jargon that the blade-slingers behind sushi counters often use to fool their customers. We all know by now that navigating the rituals of a sushi bar requires a certain level of tact and awareness. This idea, however, applies just as much to sushi chefs as it does to the customers—after all, discreet side conversations do not have the luxury of being protected behind walls. Outside of Japan, things are a little different for these knife-slingers, who have the advantage of a natural language barrier. But even so, sushi-making has long been a profession that inspires a complex network of terminology and dual meaning. The jargon, in fact, exists for a reason—it acts as a verbal shield in lieu of a physical one, and is a phenomenon that dates all the way back to the markets of Old Tokyo. Take the number system, for example, which is codified to prevent awkwardness when calculating the final bill. We asked Corson and chef Yoya Takahashi, the man behind the fish bar at Hamasuku L.A., to help us understand some of the more common terms thrown around at the sushi bar. Our advice: Do with the information as you will, but be discreet. This translates to “old brother.” “When we use aniki, it means that we need to use up the old ingredients,” Takahashi admits. A likely scenario: There are two cuts of tuna on the block, and a chef inquires which cut to use first. “Use aniki first,” his superior might reply, pointing to the older slice of fish. Gari is sushi ginger. It’s an onomatopoeia that references the crunchy sound that is made when you bite into ginger. “When you eat gari, the sound that comes out is ‘gari gari,’” Takahashi says. He adds that only fresh young ginger makes this sound, not commercialized, mass-produced soft ginger. Geta is the word for Japanese sandals, but in a traditional sushi bar, it is the wooden serving plate. “It’s because the plate looks like a sandal,” Corson explains. “Mono means ‘thing.’ Hikari means to ‘shine’ or ‘sparkle,’” Corson says. The term is used to define all the fish that have shiny skins. Key examples: shad and mackerel. Wasabi. The literal meaning is to “tear up.” Takahashi notes that some patrons like to finish their evening off with an order of namida-maki—a fresh wasabi roll. To avoid indecency, sushi chefs have a different system of numbers they communicate with. One is pon (instead of the usual ichi), two is ryan or nokku, three is geta, four is dari, five is garen or menji, six is ronji, seven is seinan, eight is bando, nine is kiyu, and ten is soku. “And then there are simple elaborations on these to match the typical price ranges of sushi meals,” Corson says. For example, eleven thousand yen is pin-pin, while 15,000 yen would be soku-garen. 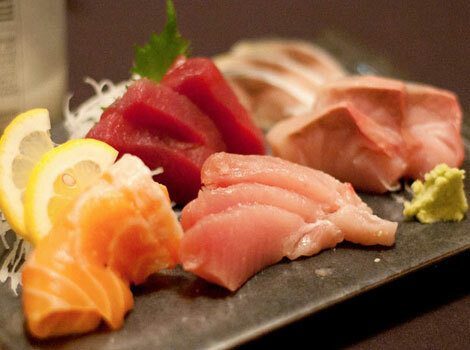 Otouto (“younger brother”) refers to new ingredients or the fresher cuts of fish. It’s the opposite of aniki. The catch of the day, or the fish that the sushi restaurant is serving that day. 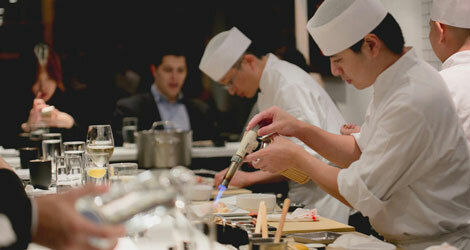 The place inside the kitchen dedicated to sushi preparation. 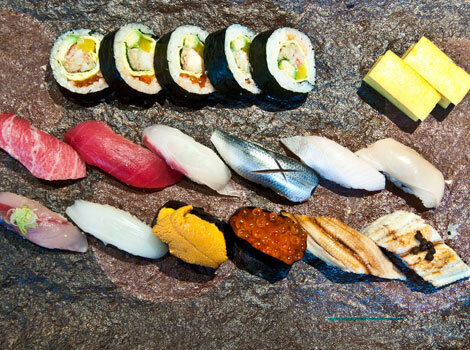 During the Edo period, most sushi had to be marinated. 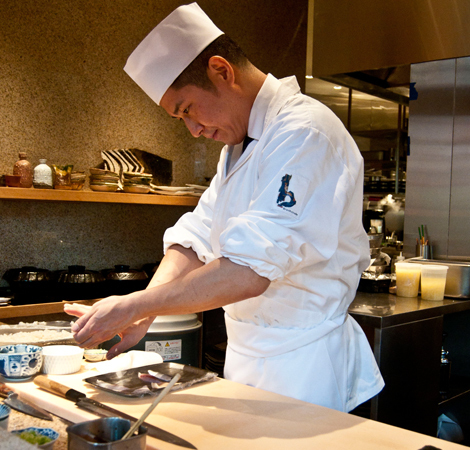 Tsuke means “to marinate.” In modern days, tsukeba has come to describe a sushi kitchen.